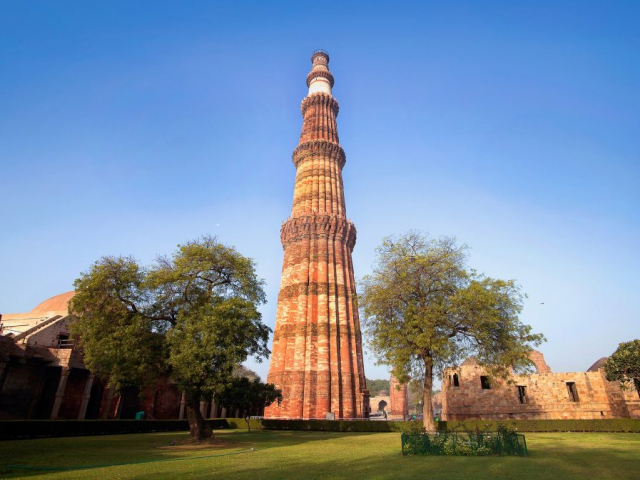 Discover the Icons of India, a diverse country filled with a long history, a variety of languages, amazing monuments, and a rich cultural heritage. On this India tour, you’ll visit some of India’s most famous sights and get to know the culture through special experiences. Of course, you’ll visit the Taj Mahal, built by Moghul Emperor Shah Jahan as a memorial to his beloved wife. Built from 1631-1648 AD, he employed thousands of artisans and craftsmen as well as a labor force of 20,000. 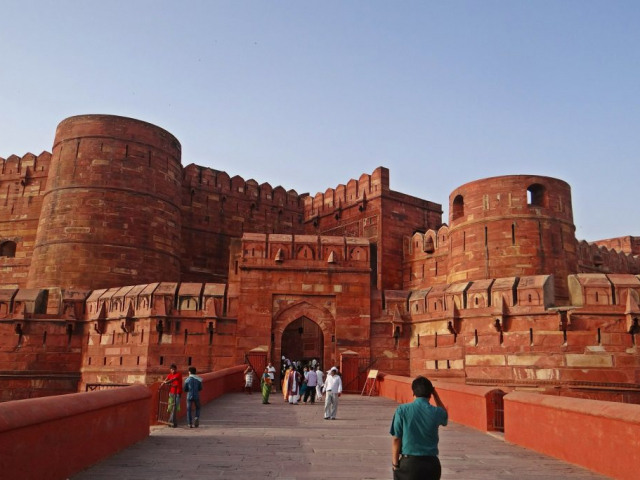 You’ll get the chance to see this amazing structure at sunrise, plus Agra Fort, the 16th-century red sandstone fortress where Moghul rulers lived. In 1876, Jaipur was painted pink to welcome the Prince of Wales, and it has been known as the “Pink City” ever since. Here, visit the Amber Fort, built in 1592 with white marble and red sandstone. Today’s sightseeing starts with an orientation to see the Red Fort, Jama Masjid, India Gate, and the Presidential Palace. Afterward, take a Rickshaw Ride through Chandni Chowk, a captivating local bazaar. Here, ancient alleyways are lined with quaint shops selling all sorts of goods and souvenirs—from silver and saris to spices and electronics. After lunch in a local restaurant, enjoy a bit of leisure time. 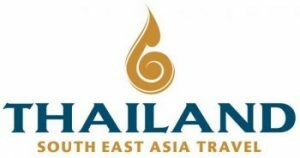 Tonight, your Tour Director hosts a lavish welcome dinner that includes a Cooking Demonstration and talk on Indian cuisine with a local chef. 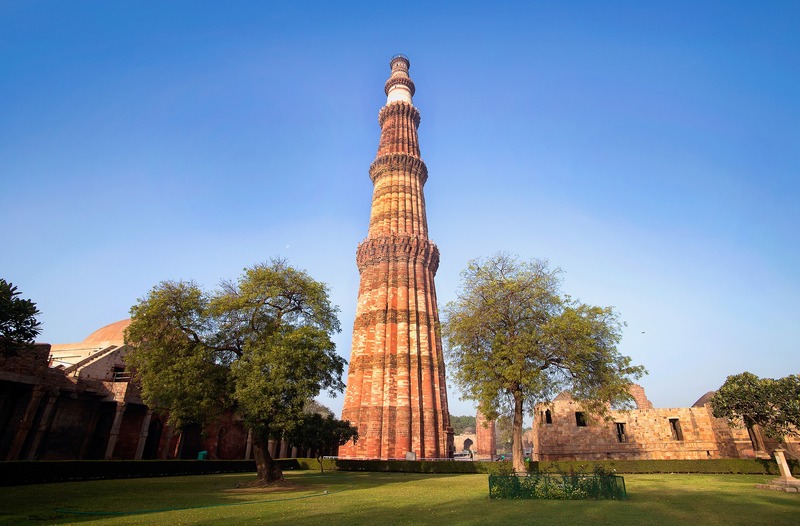 This morning, visit Qutub Minar, the world’s tallest brick minaret, dating back to the 11th century. Next, visit Humayun’s Tomb and Gurudwara Bangla Sahib, Delhi’s largest and most prominent Sikh gurudwara (house of worship). After lunch, drive to Agra and settle in for the evening. Start your day with a sunrise visit to the incomparable Taj Mahal, an extravagant marble monument to love. Moghul Emperor Shah Jahan built it as a memorial to his beloved wife, who died during childbirth. Later, travel by Tonga (horse-drawn carriage) to Agra Fort, a UNESCO World Heritage Site, built by the Moghul Emperor Akbar. 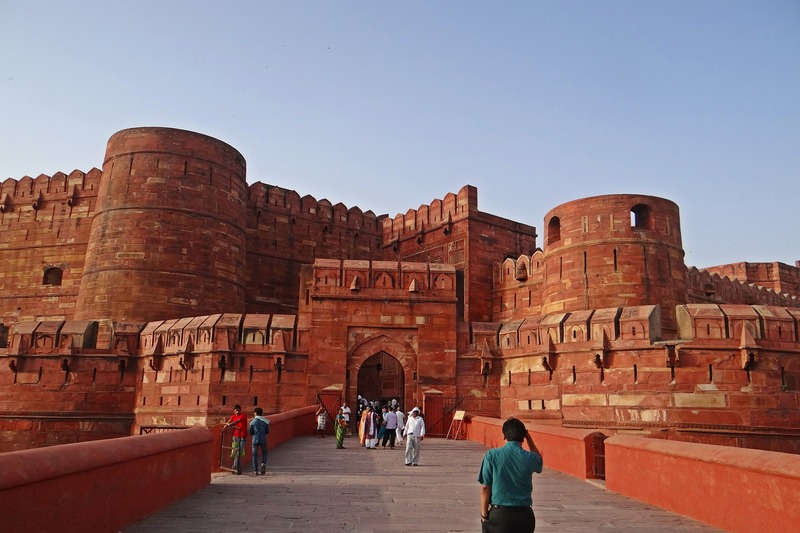 This impressive fortress of red sandstone conceals the imperial city of the Moghul rulers and its many palaces. Today, stop at Fatehpur Sikri (the City of Victory), a UNESCO World Heritage Site. Built by Emperor Akbar in the 16th century it was the capital of the Mughal Empire for only some 10 years before it was completely abandoned due to the lack of adequate water. After lunch in Bharatpur, board a Train bound for Ranthambore National Park, one of the best places in India to spot the elusive Bengal tiger! Today, explore the park on Morning & Afternoon Game Drives in an open-air safari vehicle. In addition to Bengal tigers, the park is home to leopard, sambar deer, sloth bears, marsh crocodiles, striped hyena, and more. Between game drives, enjoy free time to relax. 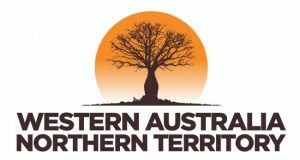 Rise early this morning for one last Game Drive in this magical land. Then, travel to Jaipur. In 1876, the city was painted pink to welcome the Prince of Wales, and it has been known as the “Pink City” ever since. Tonight, enjoy a Home-Hosted Dinner with an Indian noble family, followed by a Sari- and Turban-Tying demonstration. Today, visit the amazing Amber Fort, built entirely of white marble and red sandstone. Tour the interior with its intricate mosaics, carvings, paintings, and mirror works. This afternoon, visit the City Palace and the adjoining Museum, which houses a collection of rare manuscripts. Also, stop at Jantar Mantar and the famous Hawa Mahal (Palace of the Winds). Tonight, your Tour Director hosts a festive farewell dinner to celebrate your journey through India. Fly back to Delhi this morning and prepare for your journey home.